Diagnoses familial hypercholesterolemia (FH) based on clinical, genetic and family history. Patients with suspected familial hypercholesterolemia (FH), including those with elevated cholesterol and/or family history of premature cardiac events. Assigns points to risk factors and stratifies likelihood of diagnosis into one of four categories: definite, probable, possible, and unlikely. Requires DNA testing for completeness. FH is underdiagnosed and carries significant mortality risk from cardiac events. The European Atherosclerosis Society recommends that the Dutch Criteria be used to diagnose FH. Alternative diagnostic criteria include US MEDPED and the Simon Broome Diagnostic Criteria. The risk factors in each criteria set are similar, and clinical judgment as well as local practice factors (similarity of target population to study population) should be considered. Consider lifestyle changes, drug therapy, family testing, and other measures to manage FH if diagnosed. * Premature = <55 years in men; <60 years in women. From the National Lipid Association Resource Center. The Dutch Criteria were constructed by the Dutch Lipid Clinic Network to identify patients with familial hypercholesterolemia based on known risk factors. World Health Organization. Familial hypercholesterolemia—report of a second WHO Consultation. Geneva, Switzerland: World Health Organization, 1999. (WHO publication no. WHO/HGN/FH/CONS/99.2). Nordestgaard BG, Chapman MJ, Humphries SE, et al. Familial hypercholesterolaemia is underdiagnosed and undertreated in the general population: guidance for clinicians to prevent coronary heart disease: consensus statement of the European Atherosclerosis Society. Eur Heart J. 2013;34(45):3478-90a. 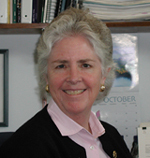 Melissa Austin, PhD, MS, is a professor emeritus of epidemiology at the University of Washington. Her research spans many areas including genetic epidemiology of chronic diseases, lipoprotein metabolism and pancreatic cancer.